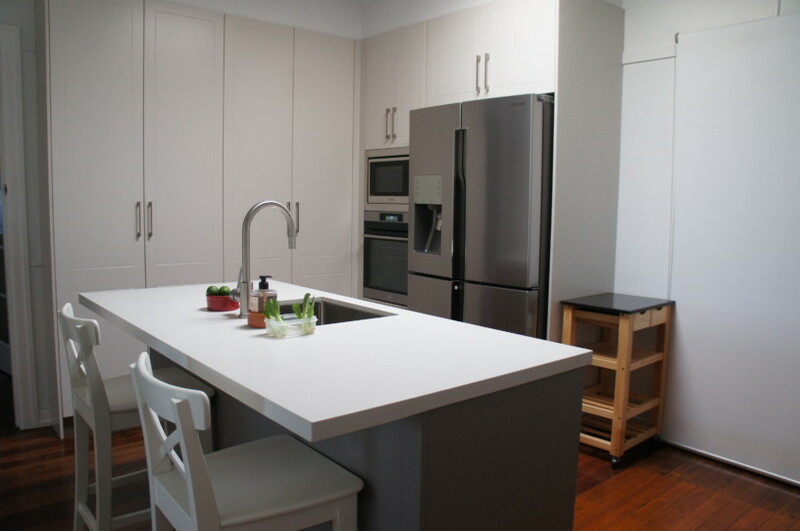 Maximizing the use of custom cabinetry we were able to bring a tired 1950’s kitchen into the modern era. 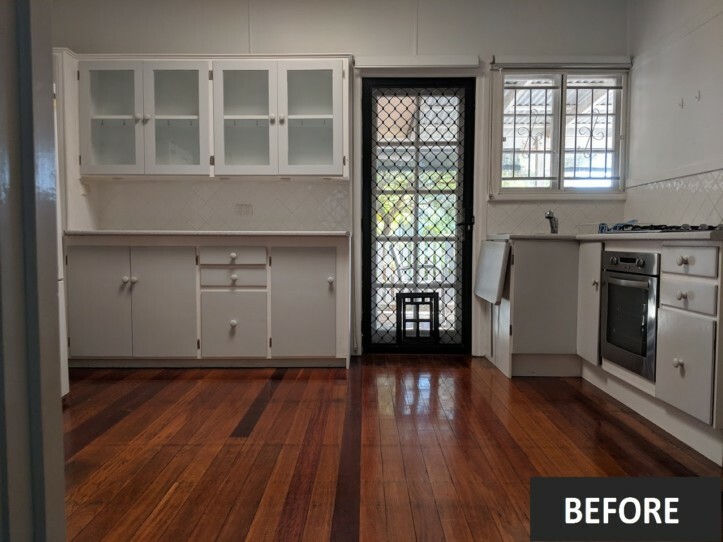 Fulfilling the clients brief we were able to add much needed storage, bench space and a beautiful island area which allows family & friends to sit and enjoy a coffee in comfort. 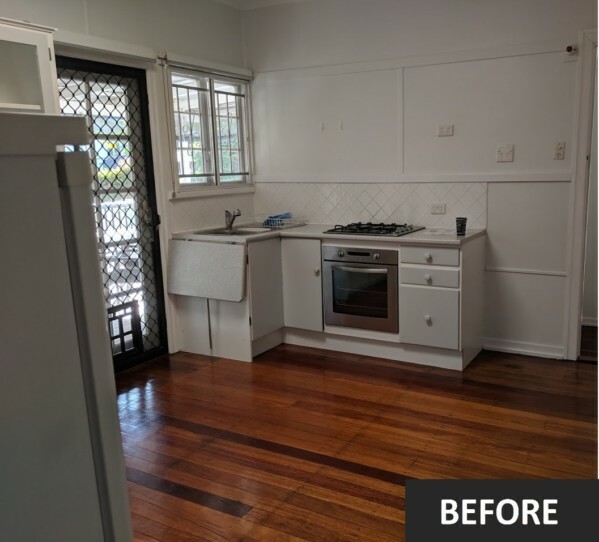 Michael fulfilled every ideal we threw at him; he took an awkward and cramped space and designed a beautiful and highly functional kitchen. 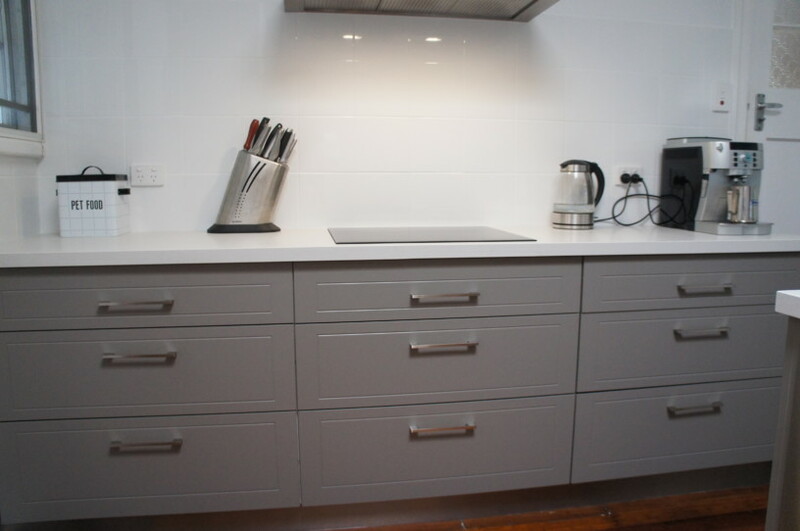 Michael happily incorporated every one of our requests, even throwing in a number of creative solutions for maximizing the storage space and improving upon the flow of the layout. 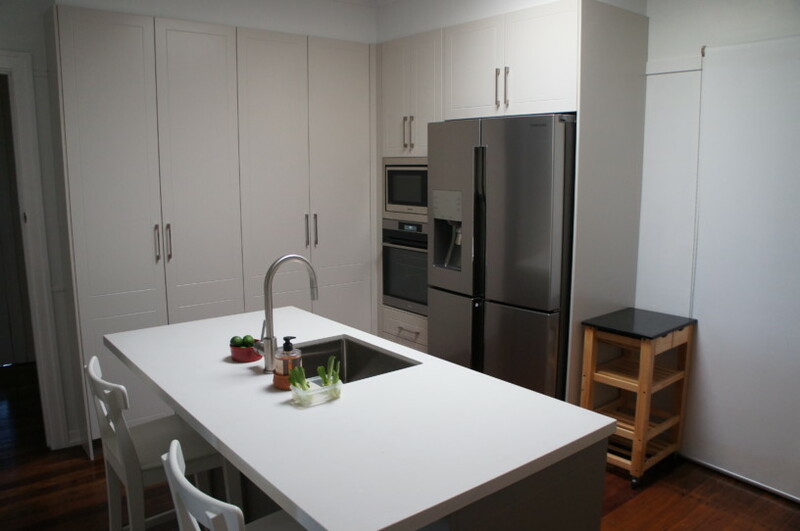 We highly recommend Brisbane Kitchens! 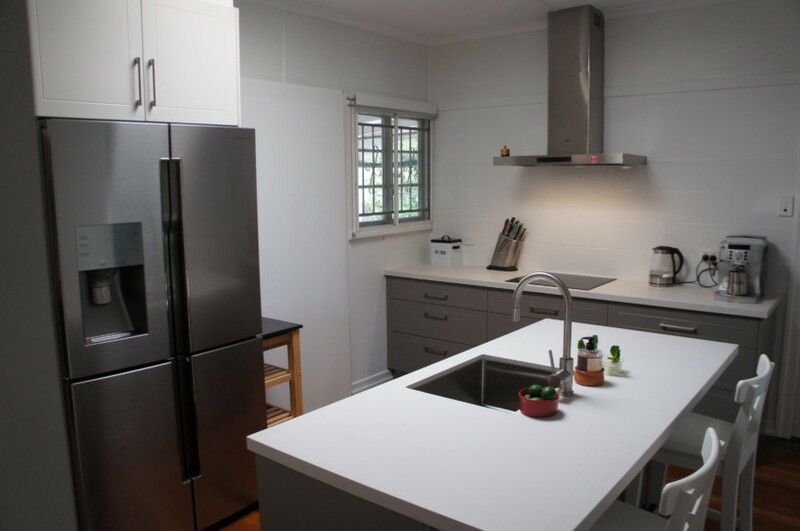 Servicing Brisbane northside and western corridor with quality new kitchen designs.